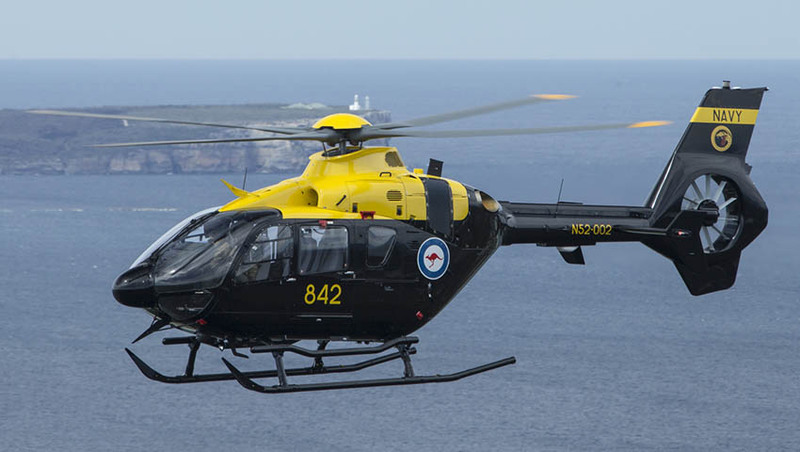 Defence Minister Christopher Pyne has announced that the Australian Defence Force’s Helicopter Aircrew Training System (HATS) had successfully achieved initial operating capability (IOC). Minister Pyne said the training system was designed to prepare Navy and Army aircrew for transition into Defence’s complex combat helicopters: "Following successful testing of the individual aircrew training courses throughout 2018, Chief of Navy Vice Admiral Michael Noonan declared the conditions had been met for initial operating capability." The training system employs a complimentary set of full motion flight simulators, part task trainers and classroom instruction, along with 15 Airbus EC135T2+ helicopters, all within purpose-built facilities. "At an acquisition cost of $436 million, HATS has delivered a modern helicopter training system for Defence which has the ability to train up to 144 helicopter pilots, aircrew and aviation warfare officers each year," Minister Pyne added. HATS encompasses part task trainers including winching, aircraft marshalling, aerial transfers to ships and deck operations; flight simulators; a helicopter maintenance program; development and maintenance of training materials and overall curriculum of four ab initio courses; along with the provision of ground and air training by Boeing instructors. Minister Pyne added, "723 Squadron is staffed by Navy and Army aircrew, with additional instructors, support staff and aircraft maintenance provided by Boeing Defence Australia, who employ 108 contracted personnel in the Nowra area. "The HATS project overcame significant early delays to commence training on time, demonstrating what can be achieved when Defence and industry co-operate closely." Under the JP9000 Phase 7 HATS project, a new joint helicopter training program for Navy and Army aircrew will utilise 15 EC135T2+ helicopters, along with flight simulators and a new flight-deck equipped sea-going training vessel. Boeing Defence Australia is the prime contractor for the new training system, partnered by Thales Australia, which supplies the flight simulators and synthetic training devices. The EC135T2+ is a military training helicopter that offers a glass cockpit with high visibility, a multi-axis auto-pilot, plus other advanced technologies to help instructors perform training missions. The EC135 offers the performance and safety of a twin-engine helicopter that will replace both the Navy Squirrel and Army Kiowa single-engine helicopter types. On maturity, HATS will train up to 130 students each year, including pilots, aviation warfare officers, air crewmen and sensor operators, in addition to qualified aircrew returning for instructor training. In August 2018, the HATS project received the prestigious Essington Lewis Trophy, which recognises excellence in industry and Defence collaboration.